To our dismay, we learned today about the Tribeca Film Festival’s decision to reverse the official selection of Vaxxed: From Cover-Up to Catastrophe. Robert De Niro’s original defense of the film happened Friday after a one-hour conversation between De Niro and Bill Posey, the congressman who has interacted directly and at length with the CDC Whistleblower (William Thompson) and whose team has scrutinized the documents that prove fraud at the CDC. We have just witnessed yet another example of the power of corporate interests censoring free speech, art, and truth. Tribeca’s action will not succeed in denying the world access to the truth behind the film Vaxxed. “Due process” is, as Deadline Hollywood points out, a legal term. But no legal action has been filed against the film, and no one is trying to keep it from being shown in general; Tribeca has just decided their festival isn’t the place to do it. Wakefield screened the film on a conspiracy cruise I recently attended for Jezebel, but reporters were not allowed to view it. 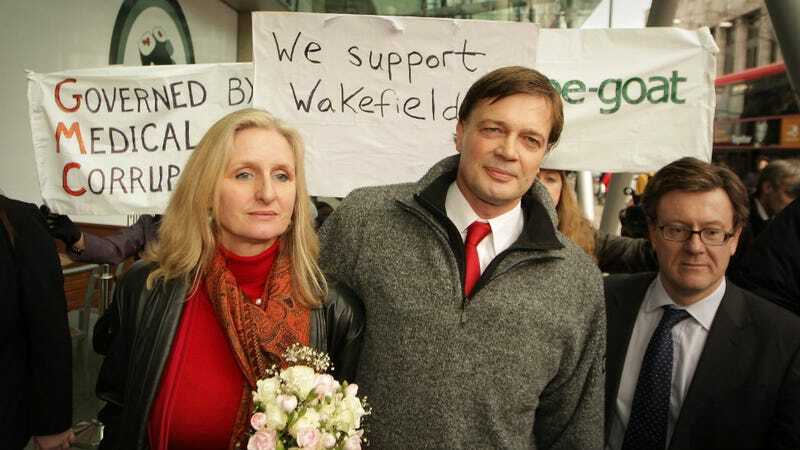 Since losing his medical license in 2010, Wakefield has built a career from claiming that he is the only person telling the truth about vaccines, and that his truth is being silenced by powerful corporate interests. He told me aboard the Conspira Sea that he is “never going to go away,” and that the corporate-owned media, meaning me and people like me, will never give him fair coverage. Tribeca has done Wakefield a huge favor here; by scheduling and then abruptly cancelling the film, the festival is giving the look of credence to the claim that the film is dangerous to Big Pharma and its Numerous Corporate Shills. Just take a stroll through the #Vaxxed hashtag on Twitter, which is full of claims that the CDC/Tribeca/the government are trying to silence Wakefield’s truth. Several dodgy natural health blogs are even claiming that De Niro was openly threatened to keep the film from being shown. In short, Tribeca and De Niro have given Wakefield new publicity, a kind he could scarcely have dreamed of before this week. In turn, his claims have new credence among people already inclined to believe him. “Wake up!” reads one of the dozens of emails I’ve gotten recently from anti-vaccination true believers. “Stop promoting genocide stop being a slave for profit!! Or quit your job because you arent [sic] even good at it! !” A petition calling for Tribeca to bring back the film—one Wakefield has signed and is promoting—claims that vaccines routinely cause both autism and death. It has been signed by nearly 21,000 people. Showing Vaxxed at a major film festival would have given Wakefield’s claims a new patina of respectability. (The petition mentions Blackfish, the anti-Sea World documentary that first aired at Tribeca, and which shifted public opinion against the amusement park.) But its cancellation has wrought a different kind of damage, one that can’t easily be undone.